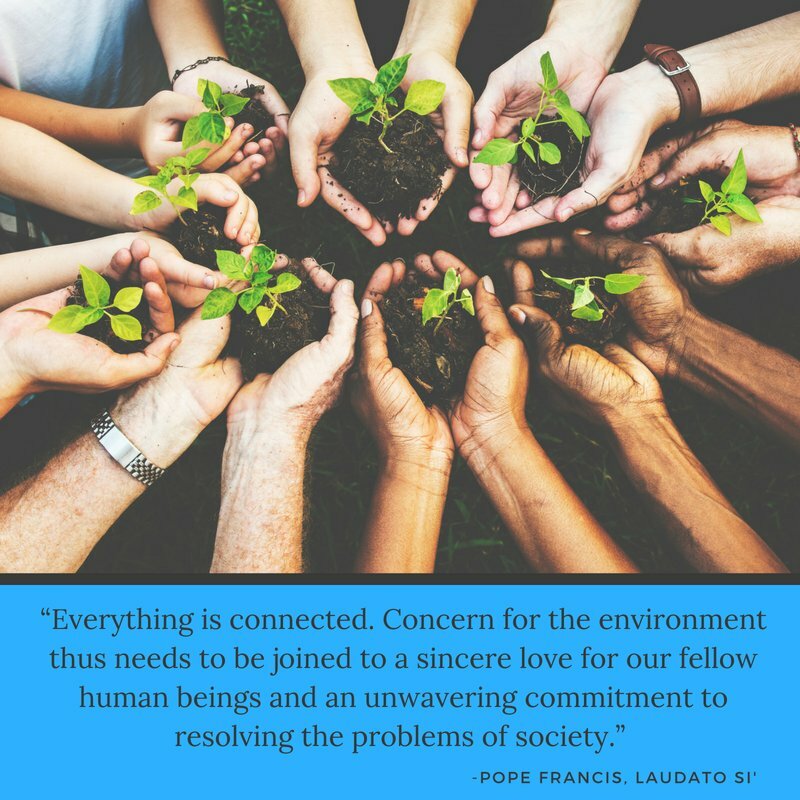 Pope Francis released his latest encyclical today, “Laudato Sí, on Care for our Common Home.” Like many around the world, the Sisters of St. Joseph of Carondelet have been eagerly awaiting his treatise on climate change and echo his calls to action on behalf of the earth. We encourage all to read this important document and reflect on how we might take action in response. Our 2013 Congregational Chapter called our Congregation to action on “Communion within the Earth Community”. In response, an active committee was formed for this work, which continues to invite us to live out our commitment to the care of creation. You can read our committee’s documents for reflection on our connection to the Earth below. Another document on water will be released soon. Click on the link in either English or Spanishto download a copy of the prayer and practice.